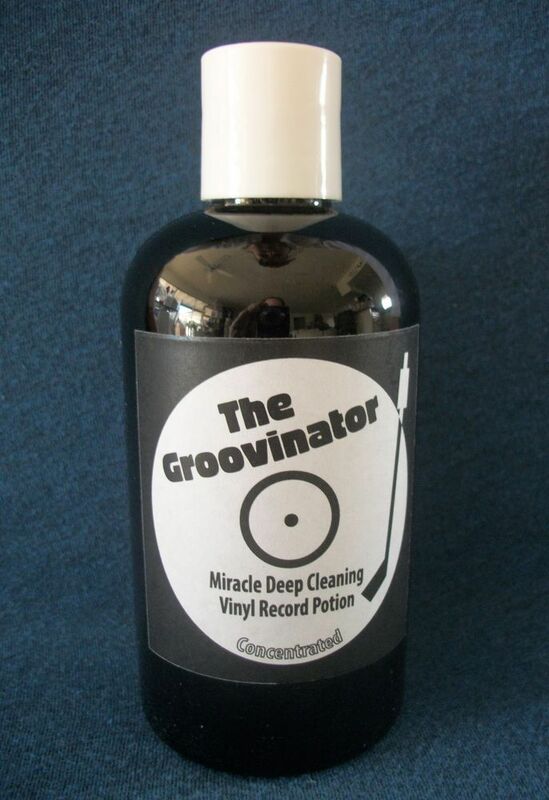 Have you tried a Spin Clean with The Groovinator? Or L’Art du Son? RICHARD VAREY has, and he’s here to tell us all about it. I know how to make records – even really old records – more enjoyable. Make them very clean. The cleaner the record, the better the music listening experience, so let’s get the groove gunk gone (see my previous article on deep cleaning here). The veil that contaminants, including mould release oil on new discs, puts over the cartridge output is graininess and loss of dynamics, and unrealistic musical texture. Ensuring a scrupulously clean vinyl disc lifts this mask, improving clarity, resolution, definition and bass depth, and quieting the background of the disc-stylus interaction. I’ve tried a lot of record cleaners, and have now identified three great products that are easy to use and very effective at removing grime from my grooves when used in the Spin Clean. The Spin Clean, now in an updated MKII (from Southbound Records, and other stores), has been around for a long time, and remains popular because it works. Out of the box, the record support rollers drop into slots – for 7-inch, 10-inch and 12-inch records. You add the chosen cleaning solution up to the mark, and begin cleaning – with three or four rotations in each direction – then rinse with clean water, buff dry with the soft cloth, and air dry to ensure that the label is not damp. 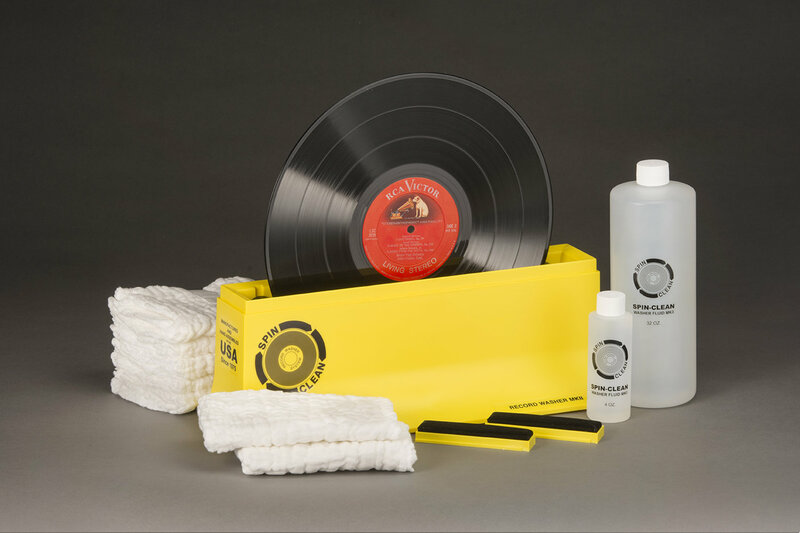 Your gleaming clean record is now ready to play. After using the Spin Clean, initially with The Groovinator (from the USA, see Facebook page), for a few months, I have no reason not to clean my records with it. The unit is light and compact so is easily portable and easily stored. I can use it anywhere I have a flat surface and it doesn’t need power. It’s virtually silent, and I find rotating, rinsing and drying the discs to be quite therapeutic, especially as there is no motor or vacuum noise. 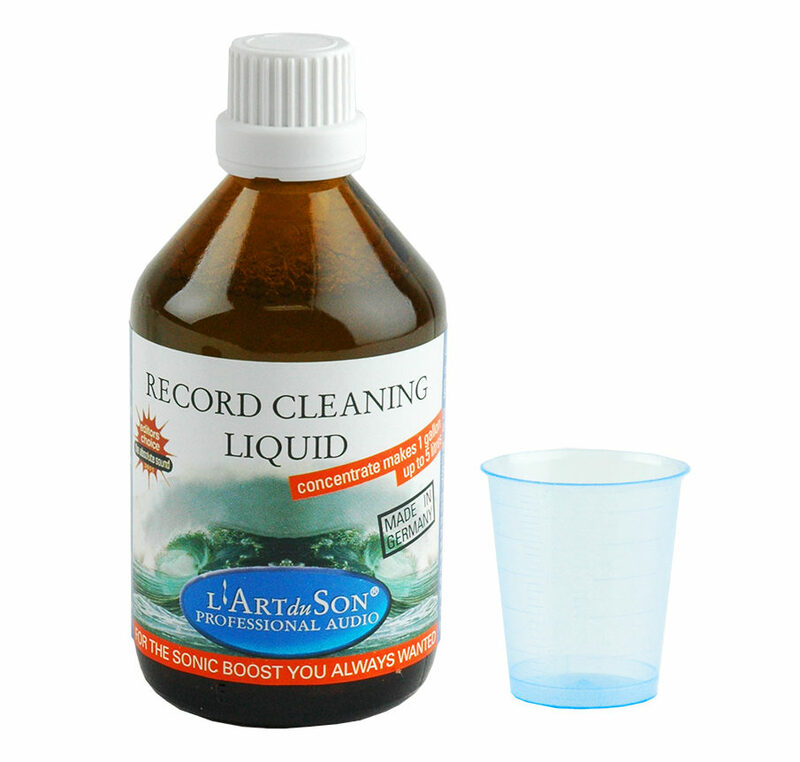 At the price paid, it’s a bargain for easy and quick record cleaning that is very effective. Beware and shop around before buying, though, as retailers charge surprisingly different prices. The Groovinator is a ‘soapy’ concentrate that is diluted with distilled water – it’s a mild soap with a flocculant and a wetting agent. My son tells me that it has the same aroma as the cleaner used in tattoo parlours (where hygiene is paramount). I call it The Groovinator record rejuvenator. A clean with this diluted mixture makes all my records sound much fresher – even the ones that are well-played and those that look fairly clean. A veil is lifted – a ‘cleaner’ sound! Even those sounding musically tired and flat are refreshed. It’s an easy pick-me-up for my pickup! The Spin Clean with The Groovinator onboard is a miraculous cleaning combo – easy, quick, and very effective. For example, my $1 ex-library copy of Herbie Mann’s Stone Flute looked quite clean. I picked it up thinking that if it sounded horrible I would ditch it. The sleeve is very worn but the disc looks okay. The crackling and popping made it almost unbearable to play. A minute or so in the cleaner and it was visually obviously much cleaner. Now it plays with barely any distracting noise, and this is one of those sparsely instrumented recordings that would show up disc noise. I am delighted! Cleaning and playing records on acquisition is no longer a chore that requires tedious preparation and cleanup. The dozens of records I’ve added to my collection in recent months have been cleaned, played, catalogued and filed, and it has all been a lot of fun. There’s a very close clone of the Spin Clean. The Studebaker SB450 record cleaning system from Spectra Merchandising (Chicago) is basically the same design at about half the price. I don’t know of anyone is selling it in New Zealand, so online sellers need checking out. The cleaning fluid that is supplied with the Spin Clean has a special formula that encapsulates the dirt that comes off the record from deep within the record grooves and sinks it to the bottom of the washer basin, so it is not re-deposited back on to the record. The 4oz bottle supplied with the MKII model is enough to clean up to 700 records. It’s available as a refill. It doesn’t have an aroma, and three capfuls per fill-up of the Spin Clean bath will clean about 50 discs. The makers, of course, claim it is optimal and warn against using other fluids that might deposit sticky residues. None of these cleaners does that in the Spin Clean. I have also tried the L’Art du Son record cleaning agent, courtesy of Polglase Enterprises (Supra Cables), Auckland, a local reseller. The bottle of concentrate makes up to five litres of cleaning fluid when added to ordinary distilled water, which is enough solution to clean about 500 LPs. It has no alcohol or emulsifier as the German manufacturer states this can damage vinyl records. The environmentally friendly and non-allergenic formula components are non-toxic and biodegradable. Consequently there is no harsh chemical smell. The concentrated liquid smells like a soft perfume, and there is even less odour when diluted. The anti-static formula is intended for professional use, as it dramatically increases dynamic contrasts (silence, quiet and loud) from LP playback, improves bass response and significantly improves overall soundstage reproduction clarity, with increased stage depth and sense of musical ease. I particularly like that records don’t sound like played records. There’s clearly a substantial lowering of the disc noise floor resulting in improved clarity and instrumental definition. 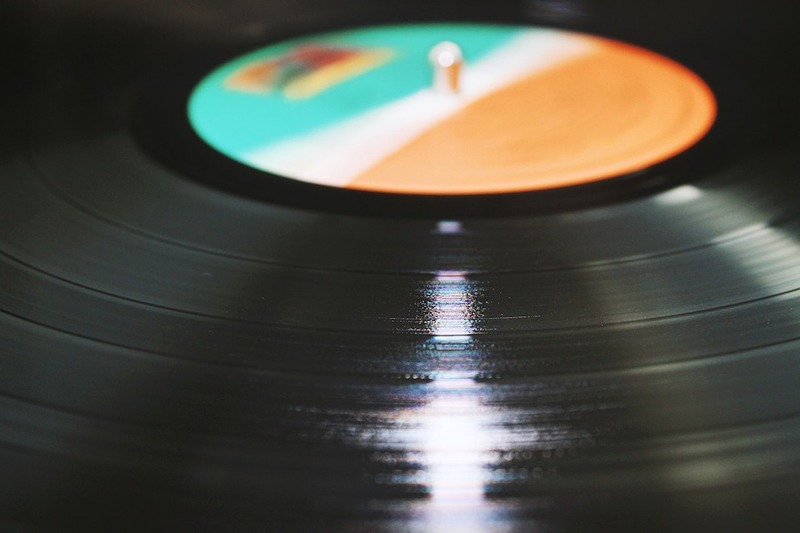 This solution even makes new records sound quieter and cleaner. LP life extension is a further not inconsiderable benefit. This product is light and temperature sensitive, so careful storage is needed. The two things I like best about this method of cleaning, whichever solution is used, are that the records come out very clean – clickless and popless – and you can play a record as soon as it had been buffed dry. I now no longer have to wait weeks to gather enough records to make a batch cleaning session worthwhile. It really is practical to wash a single disc, as long as the cleaning pads aren’t left in the fluid for long periods when the bath isn’t in use. I remove, rinse and let dry at least weekly. The few minutes spent washing, rinsing and drying is well rewarded with distraction-free listening enjoyment. The deep cleaning effect is visible immediately as you buff the disc dry. Grimy, not-worth-a-second-look records are transformed into I-can’t-believe-this-record-is-in-such-great-condition listening pleasure. Before I tried these products, record washing was a bit of a hassle, although worth it. Now it’s not even much effort to get such improved listening.